There's nothing like starting the morning in the crisp outdoors, fragrant aroma wafting about as you walk downwind from about 50 rows of steaming compost housed on approximately 52 acres of land in Prince Georges County. Thus began Day #1 of my MAEOE (Maryland Association for Environmental & Outdoor Education) conference. Of course, being a greeniac, this out-in-the-field experience was self-invited and truly fascinating. Additionally, being that it was purely yard waste (with no food waste at this time...tho the county is looking into that as a future option), my nose was far from traumatized and there were no critters anywhere in the fenced facility! 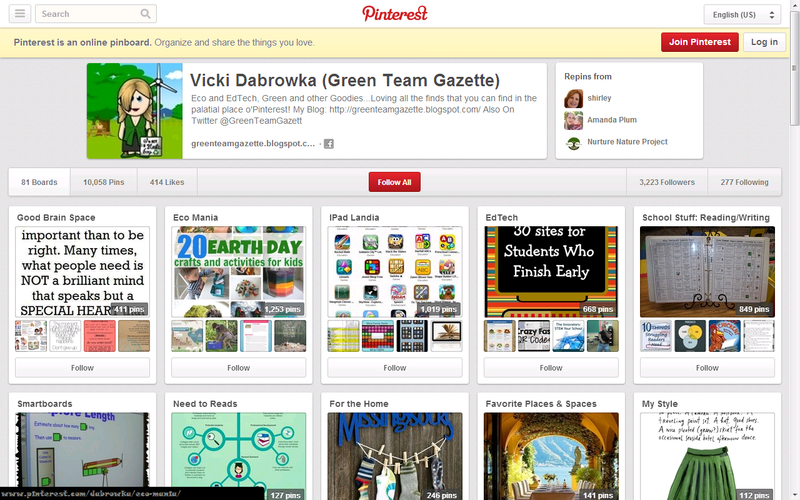 Being a teacher at a green school that composts, I know a bit about compost. 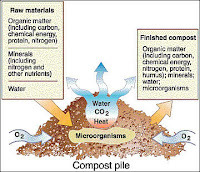 Yet I learned that there was so much more to learn about the "science of compost" from our Prince Georges County Composting Facility yard waste specialists, Randy & JR. The science at this windrows (rather than static) composting site involves many pieces of equipment. All sorts of measurements are taken using oxygen sensors, thermometers (the desired temperature is approximately 140°F), water (lest the compost get too dry), microorganism (which do the bulk of the breaking down work), and heavy machinery to rotate and grind to get the compost to the proper particle size. Carbon, nitrogen, hydrogen, and oxygen are all at work in their proper amounts! Being one of the two large composting facilities in all of Maryland (the other one being in Montgomery County), this PG County facility tackles approximately 80,000 tons of lawn waste state-wide and keeps it out of the landfills per year. 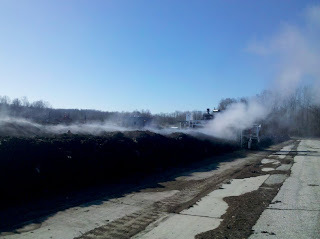 In turn, they make 55,000--65,000 tons of "LeafGro" composted soil over the course of its 6--7 month transformation. 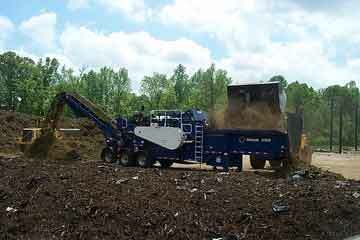 As money comes in from the yard waste drop off and comes in again when people purchase the soil, revenue is generated from waste products. Kind of brings to mind Tom Szaky's book Revolution in a Bottle on the ecocapitalism story of Terracycle. The Peterson Grinder (see below) even finely chops the plastic bags that the curbside lawn waste comes in...which even that is used! It is collected and used for nightly landfill coverage, with a thin layer of dirt holding it down. (As dictated by law, landfills must be covered and sealed each night.) Of course, that brings about floating plastic caught in the fences and trees; but even with that, the Composting Facility has a cleaning plan in place to keep that plastic from escaping into our waterways. Seeing 50 rows of composted "dirt piles," some as short as 450 feet but most ranging 800--1000 feet long is pretty impressive. Even more so is seeing it at the various stages, especially the final product: thick, rich soil. Not to mention, the mountain of mulch made from Christmas trees was equally impressive. Mark your calendars for April 16th = "Free Mulch Day." ~ The steamy compost picture is the only picture I successfully took that turned out this morning (despite the dozen or so other attempts in the bright sun).